Our trip to Malta (my 50th country) was a very spur of the moment decision, just like the rest of my travels. 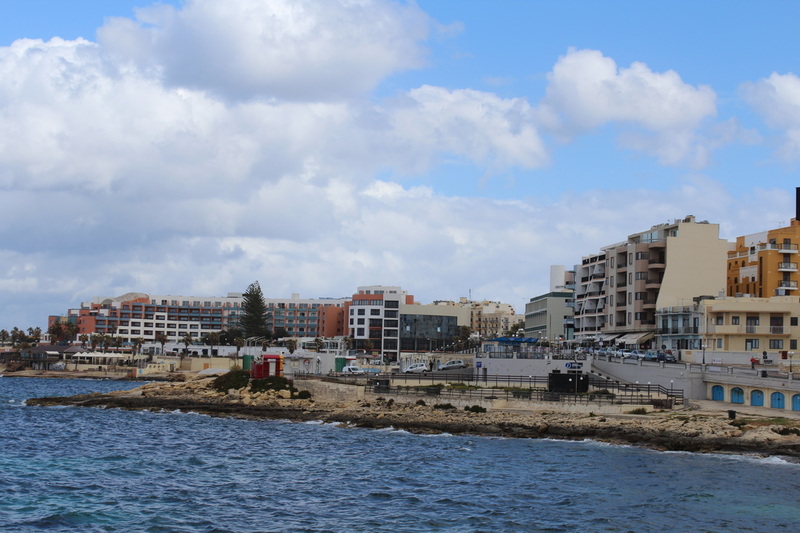 We left on a Tuesday and would spend a week in the town of Bugibba on the coast in Malta. The flight was only 3.5hrs and having watched a movie and had some wine, the time flew by, literally. We arrived late to Bugibba and took our shuttle to Topaz Hotel where we would stay for the week. Upon arriving, the hotel seemed very clean and welcoming. We got our key and headed to our room which was quite impressive and very clean too. We had no plan for the week but we decided to go with the flow. The next day we were picked up at 9:30am to go to The Raddison Blu, Golden Sands resort near Mellieha to be 'shown' around and given complimentary drinks and food etc. We had been convinced by the local rep 'Sabrina' at the hotel to go as it would be a great day out and we could redeem a €30 excursion voucher afterwards. I had an Inkling that there was a catch... And I was right. It was almost 4hrs later that we finally escaped the 'timeshare' situation which basically involved us being convinced by a sales rep to buy a timeshare at the hotel. It ended with him calling his manager over and asking us 'have we upset you? ', when in actual fact we just wanted to get the hell out of there... And no we didn't want a timeshare whatsoever. This reaction let their oh so welcoming facade to disappear. And so did we! We had lunch at a lovely cafe on the beach before taking a taxi back to the hotel. We then booked a trip to Sicily for the next day which would leave at 5:15am. That evening we spent wandering the waterfront town of Sliema before heading home. Today we woke early and waited at reception for our pick up at 5:15. We would take the ferry from Valletta in Malta to Pollazzo in Italy, to then board a coach and head up to Mt Etna at 1910m followed by some wine/almond/chocolate tastings on the way to Modica, a typical Sicilian town. The whole thing sounded fantastic but to be honest we spent most of the day on bus and barely had any time to get off and see anything. Passing through Catania was amazing but we were all caught in a torrential rain storm as we ran to the nearest cafe for pastries, coffee and to use the only toilet they had. We then drove super slow on the steep, curvy roads up to Mt Etna through the snow, ate some food and then came back down again. After that, we drove through the countryside (still listening to our annoying tour guide, who started every sentence with 'So what do we have here? '), towards Modica. We passed over the third highest bridge on Europe and passed some absolutely breathtaking scenery. Italy had won my heart instantly. When we got to Modica we had an hour to wander around and taste some delicacies including chocolates. The town was one of the most unique and beautiful places I had ever seen in the world. I was so mesmerised by the steep steps from the majestic Main Street to all the cliff side houses. The architecture was amazing and instantly I saw myself living so where like this. And just like that, Italy won me over. We then took the coach back to Pollazzo and then the ferry back to Malta arriving back late that evening. We had made a new Romanian friend that day Elena who we explored Italy with and had a a lot of fun and laughs. I can't wait to return to Italy. Day5- Mdina and St Julian's Bay. Today we went to Mdina 'the silent city' which was awesome and reminded me a bit of Jaiselmar in India. It is built like an enclosed fort and has narrow alley ways and beige a home. Day6- Today we didn't have any plans so we went to the capital again to see the famous St Jeans cathedral which ended up being closed - on a Sunday?. We then went back to Cafe Cordina to enjoy some coffee and pastries before walking towards Floriana. Mam wasn't too keen on following the heritage trail so I did. I explored some monuments, cathedrals and botanic gardens which had an amazing city view from the top. The trail was easy to follow and had some interesting plaques with information on them along the way. Day7- on our last day we had booked an excursion to Gozo and Comino islands for €20 each including an open bar on the boat. 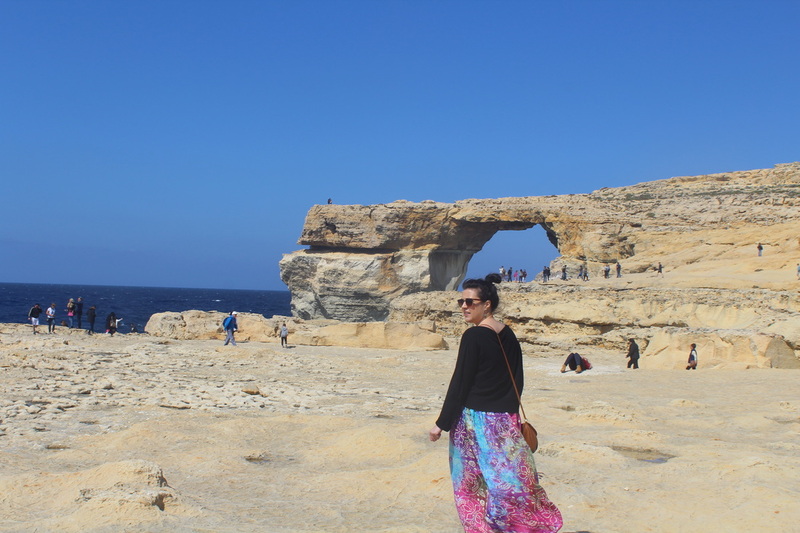 We left Bugibba harbour around 11 and took the very rocky boat to Gozo and were dropped off to take the 2.5hr bus trip around the island including stops at Azure window, Fungus Rock, souvenir shops and Victoria square where we had a coffee in the sun on the patio. Gozo was so beautiful and unique that I couldn't help but like it a lot more than Malta. The next stop on the boat was the tiny island of Comino where we stopped for an hour to walk around, swim and enjoy the crystal clear blue lagoon. Needless to say it was too chilly to swim but I did manage to walk up the top of the rock hill and get some stunning views. Afterwards we went back to the boat and took advantage of the open bar. The journey back to Malta was quite smooth considering what we had experienced on the way out. Steady enough to make your way to the bar and back. A few times :) Later on we wanted somewhere different to eat so we came across a hotel with a cheap set menu. The clientele there was at least all over 70s and the food was very mediocre. We drank the cheap wine and swiftly made our way home. I ended the evening like I ended most evenings, with a hot bath. It was so cold here in the evenings that it was necessary to take a bath to warm up again before bed. Overall, Malta was somewhere new for me to visit and although I had no expectations, I was a tad disappointed. The 'amazing' Golden Sands beach near the Radisson Blu hotel was very small and nothing special from what I could see. The countryside of Malta was very random and it seemed to constantly be under construction and wasn't really much to look at other than farms, and arid dry landscape. The weather in March wasn't great, only highs of 16 and rainy too. Half the population here seemed to be English which made it feel like we hadn't even come on holiday. 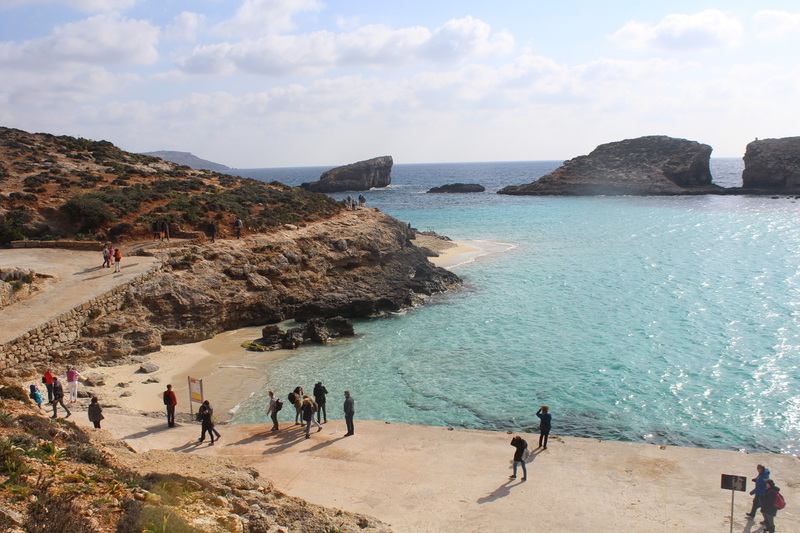 The highlights were definitely Gozo and Comino, the trip to Sicily, the city of Mdina and the beautiful waterfront towns of Sliema and St Julian's bay. Buses were €1.50 anywhere and had a two hour transfer time so you could use the same ticket more than once which was handy. Distances were not so far and you could walk around feeling very safe. Warning- do not get roped into the Radisson Blu timeshare situation like we did. It cost us 3.5hrs of our trip we will never see again. On the other hand we did get to spend the time after that at a great beachside cafe eating lovely food and drinking wine in the sun! Jade is a well travelled individual who has just visited her 50th country- Malta. Information and advice can be provided for destinations upon request.